A true triple threat! 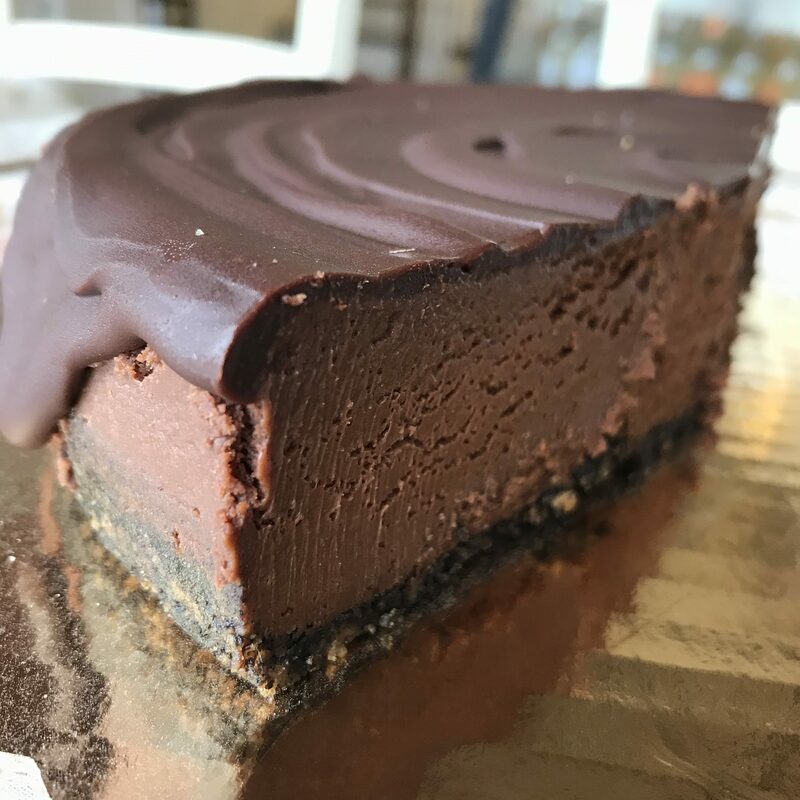 Dark chocolate cheesecake batter with a chocolate crumb base topped with dark chocolate ganache. 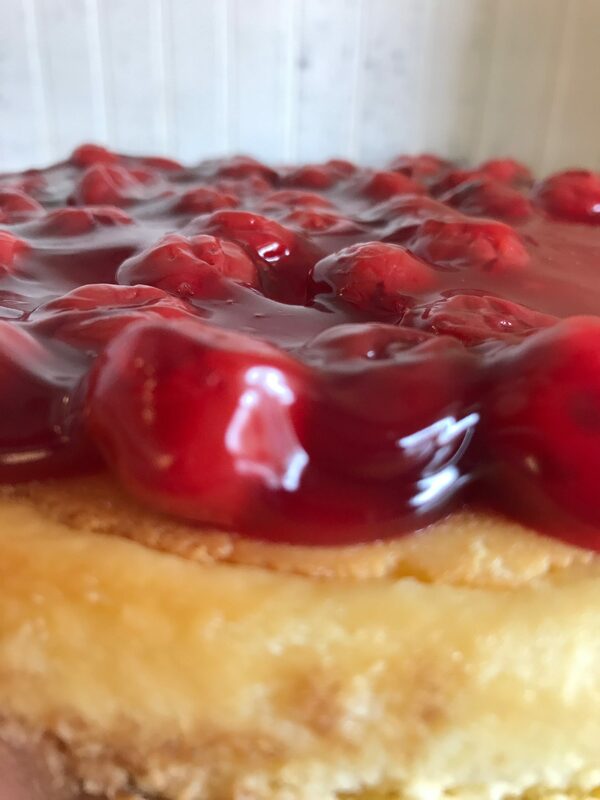 This 9″ cheesecake serves 8 portions. Most cheesecakes do not have a smooth top to allow for a perfect inscription. 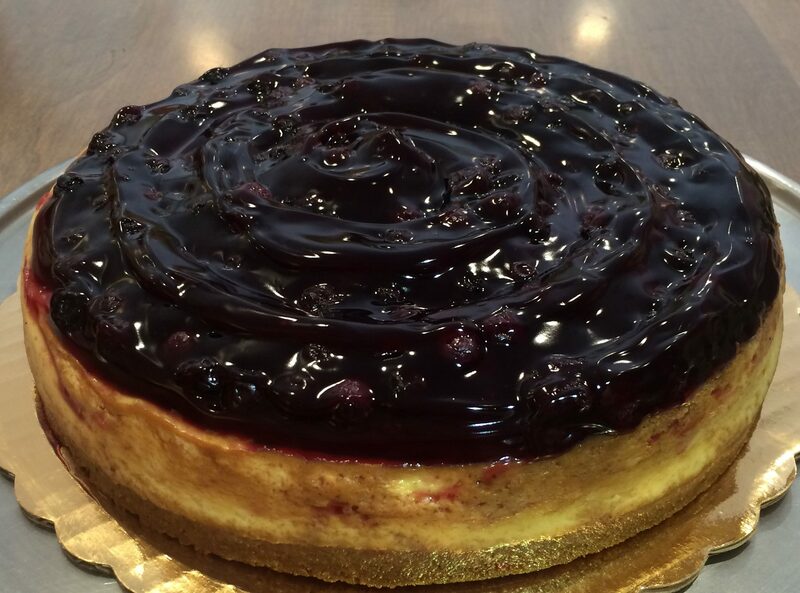 Therefore we will try our best if you choose this option and your cheesecake doesn't have a smooth top.